Alphas Air Stream Custom is the modified Daiwa Alphas Air, finesse bait casting reel specificly suitable for trout fishing in tiny streams. Its G1 ESD dulaumin, 31mm dia spools are specially re-designed to be able to cast 3-5g trout baits in short casting distance without fear of backlash. Brake roters are fixed to the spool without moving system to offer stable braking performance from cast to cast. Jun's Comment: Daiwa has offered last Stream Custom in 2014 in a limited number, and they went sold out quite fast. This Alphas Air based Stream Custom looks quite nice and feels great. 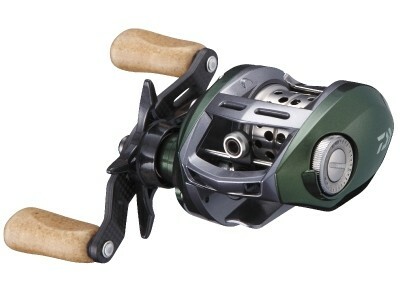 Unfortunately, spool of this model will not fit to other Alphas reels, as they have 32mm spools.